The Charles Antony Special Brigade was founded after Lt Colonel Seelan who was killed ten years ago in 1983 during a round-up attack by SLA in Meesalai. 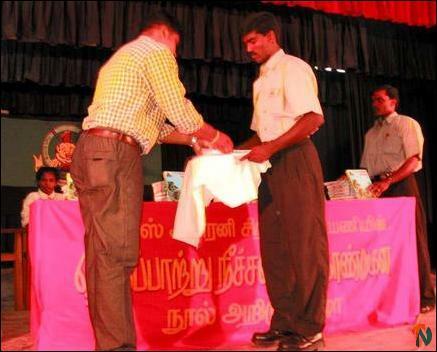 The event held in Trincomalee Koneswara Hindu College gained more importance as Lt. Seelan (Charles Antony) was born in Trincomalee and studied in Trincomalee Koneswara Hindu College. He participated in the burning of the Sri Lanka National Flag when it was hoisted at Koneswara Hindu College on the day 1972 Sri Republican Constitution was proclaimed under the Sri Lanka Freedom Party (SLFP) government led by Ms Srimavo Bandaranaike, speakers addressing the book said. 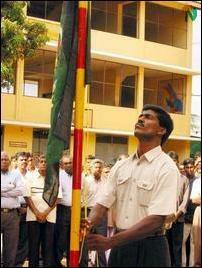 At the commencement of the event Head of Trincomalee Tamil Eelam Economic Development Organization (TEEDOR) Mr.S.Tharman hoisted the Tamileelam flag and one its commanders, Mr.Amuthab, hoisted the Charles Anthony Special Brigade flag. 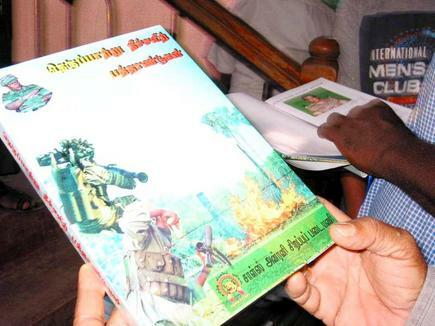 Following this, Tharman and Amuthab lit the flame of sacrifice and garlanded the photograph of Lt Seelan, sources said. LTTE officer Mr.Pavalan presided over the event. Mr.Kandeepan made the welcome speech. The keynote address was made by Ms Kaaronja, head of the women political wing of the LTTE in Trincomalee district. The first copy of the book was released by Mr.Amuthab. Lt Colonel Gopith, Commander of the Charles Antony Brigade also spoke. Mr.N.Anandaraj and Mr.K. Thevakadachcham reviewed the book. Mr.Kutty proposed vote of thanks.